Happy Thursday! Just a reminder that, if you’re in or around NYC, I want to see you this weekend at The Seed! It’s not on the schedule yet, but JL and I will also be on a vegan business panel late in the afternoon on Saturday. Come ask us lots and lots of questions. It’s getting warmer (finally!) which means lots of outdoor activities. And outdoor activities mean portable snacks, because who wants to interrupt a hike or a day at the beach for snack time? 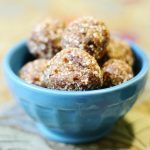 As a student, I rely on snacks year round, and homemade energy bars are one of my all time favorites. The snack bars you see above are my most trusted formula: some oats, some seeds, some dried fruit, some sweetener, and some nut butter. Plain and simple. And oh-so easy to customize. This week in The New Veganism, I show you how to make these delicious snack bars at home. Why pay $2-3 when you can create something in your own kitchen, using simple ingredients? Best of all, creating snack bars from scratch allows you to customize them exactly the way you want. Hate raisins? Use goji berries. Hate pumpkin seeds? Sunflower seeds will be great. The possibilities are endless. Head on over to Food52 for the recipe! Previous Post: « Strawberry, Avocado, and Spearmint Smoothie. Vegan Summer Sips! Are these like the bars in your Back To School video with Kathy from HHL? You guys should totally make more duo videos–they are so inspiring! 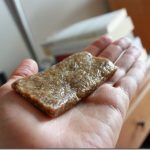 I tried making some bars with honey a few months ago it turned out messy but tasty. I’m not one to tell people what to do, but people — you MUST try these bars! I made a batch with hemp seed, dessicated coconut, dried blueberries and cranberries, and maple syrup as a sweetener. So good! 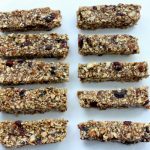 I love finding a new healthy and homemade granola bar recipe! This is exactly what I’ve been craving/looking for. Sometimes I want a little more crunch in my raw day. Seems easy enough. Thanks so much for sharing! 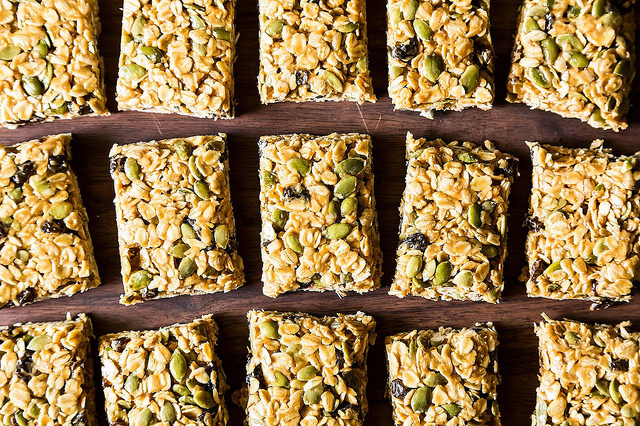 I had no idea you could make granola bars without baking! I just discovered you, and I’m looking forward to incorporating more raw foods into my diet this summer. I’m bookmarking these to make tomorrow! 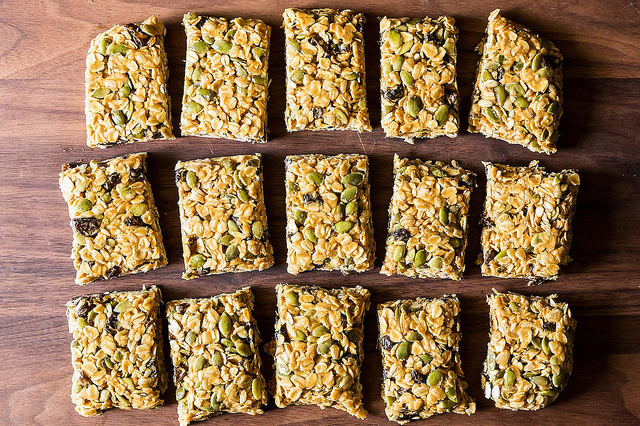 That’s what I love about granola & granola bars…they’re just so simple! I discovered this concept a few years ago when I was broke but still trying to maintain a healthy, plant-based diet. Don’t be afraid to keep it simple…or mix it up! 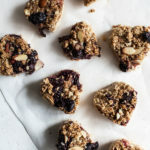 I’ve made these twice now and they are very tasty but I can’t get them to “set.” They hold together in a bar while they are in the fridge or freezer but as soon as they reach room temperature, they crumble. Is that normal or have I just not gotten the ratio of binding ingredients right yet? Oooh, I’m sorry Anne! Try a touch more agave/syrup, see if it helps with binding. Finally made these last night in a late night spurt of energy and needing to make something to bring to work to help get me through the day. I tell ya, mixing these by hand is a workout in itself! 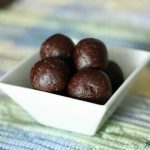 Just as simple as you describe, super easy and they came out delicious. I used a combo coconut nectar with a hint of maple syrup and raw honey (so not completely vegan) and only used about 1/2 cup. TOTALLY SCRUMPTIOUS!! I was a bit worried about oats as I never eat them raw, but I guess you can as they are steamed during processing? 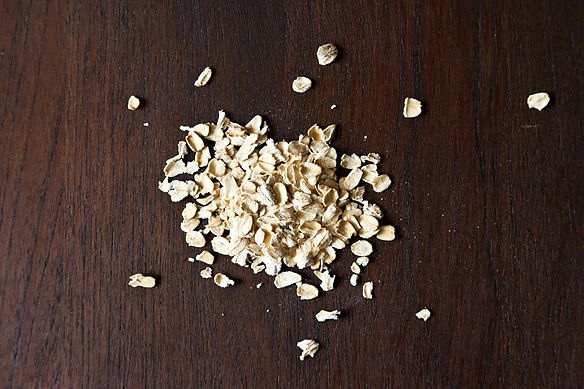 Do you think there would be any benefit from soaking and dehydrating the organic rolled oats first (you know, if one could find time for such a task)? Thank you! Rolled oats actually go through some heating, yes, so I’ve never had a problem with them. Raw oat groats would be a different story. Glad you liked the bars!